2.10 – Super Mac 100/1/ Plan Of Escape 80/1 – to place?? The fav should hack up against this lot hard held really, but there’s a place up for grabs, so if you’re track side, best pick out a couple of biggies for the place market, or small change EW if you must. 2.40 – Ringaringarosie 10/3 – a tight handicap where you could make a case for the top four in the market – this one is down in class, Danny Cook takes over, and she’s a prominent racer/he may try and make all – so, that will do! She’s consistent enough but hasn’t got her head in front yet. Coltherd’s and Walford’s can be held up further back and the former’s jumping fell to pieces LTO. 3.10 – Sweet Vinetta 9/1 EW – maybe a race to sit out in truth as in theory one of the top two should be winning this on known form/progression. 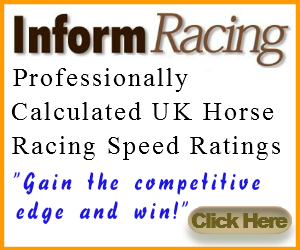 Team Skelton are throwing the kitchen sink at getting 200 winners in a season, and they should get there before Sandown. This one steps back up in trip and gets CP, and she’s here to run her race. Could sneak a place, and you never know, maybe the top two will fall in a hole! This is a very different track to anything they’ve raced on yet and the hill/swing for home catches out plenty. 3.40 – Saint Freule 7/2 / Welsh Rarebit EW 12/1 – another Skelton hotpot in this, who won hard held LTO and may do so again, returning 4 days later. We can live in hope though that he just doesn’t run his race! Maybe clutching at straws there but if he does, and the selection jumps off (can be tricky at start), he’d pick up the pieces. One at an EW price…well Welsh Rarebit may cause a shock, some ok novice form and 16f LTO was too short, esp at Class 2 pace. I’d be surprised if the S1 horse went close here, but they surprise me every now and then! 4.10 – Prince Dundeee 9/4/ Allez Cool 8/1 EW … the former is the solid one here and without doubt the one to beat, if he runs his race. He will track the pace, but horses run at this level generally either because they’re inconsistent, and in chases because they can hit a fence. Obviously you need some ability, but it’s jumping ability that makes so much difference for me, especially between going from C5>4>3. Anyway, from memory I watched his last race and he made a bad error down the back, but hes unexposed and entitled to be learning still. The CP made the difference and he is the right fav in this, plenty of trees in here. Allez Cool – well he looks a lively one for Jumps Strategy 1, and he was much bigger last night/first thing. He’s clearly had all sorts of problems, and you couldn’t bank on him running his race, second run after a monster absence. But, he did run well there, and will appreciate the step back up in trip. This is about whether he runs his race/to his best I think- he will go very close to winning if he does. 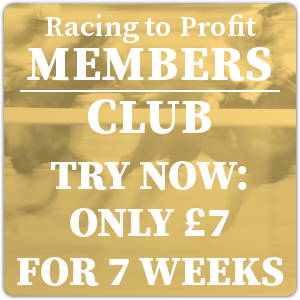 4.40 – Ravished 7/4 – I deferred to Darran Pearce’s preview for this, that’s the one he’s tipped, so that will do for me. 5.10- Black Ebony 6/1 – I like Black Ebony in this, he ran well on debut LTO where Brooke wasn’t overly hard on him, having travelled well, and it was a run of promise. There’s plenty of positive trainer stats with this type, and at the track, and he may appreciate this stiffer course. Connections like to win bumpers with their nice ones I think, and i’d be surprised if he isn’t here to run his race. Maybe a last win before a summer at grass and a novice campaign next season. He’s related to Attaglance and plenty of other winners, that team Jefferson know well. In theory one to track in time. The Nicky Richards horse – Holme Abbey- may be worth some small support also, esp if any money comes. 15/2 may be fair. I preferred the main selection of the two. What can one say on the Masters fantastic tournament and for golf a wonderful result with the Legend Tiger winning. Our dream ended when Molinari’s ball ended up in the water and our fate was sealed when he did it again,the pleasing side was that he showed great character to soldier on and producing a birdie and that final put on the 18th for par was outstanding, sure he will be kicking himself for in my view he was to negative from the start, and if he had an early birdie the outcome may have been different. In the end was looking like we would end up with no place money until that final put. Most valuable race of the day.